I'm sure that most of us are already familiar with MTN double data bonus because the offer has been in existence since last year and some of us are still benefiting from the offer. 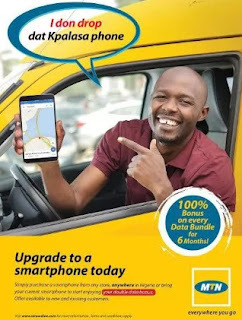 In one of my recent post on How to Get MTN 20% Data Bonus, I wondered why people are making comments there that MTN 100% data bonus no more working. This is to bring it to your notice MTN 100% data offer is still working fine, just that valid IMEI is not something easy to generate. To make thing easier, we have compiled the latest list of IMEI from different eligible devices for you to choose from, tweak and enjoy. Recall that the MTN 100% double data offer was tapped from certain smartphones that are eligible for the offer. This simply means, once you buy a certain smartphone eligible for the offer, you will start getting 100% bonus on any data plan you purchase for a period of 6 months. You as someone who does not purchase the supported phones, all you need is to tweak your smartphone IMEI with that of the supported phones for you too to benefit from the offer. Below are the latest and active IMEI you should tweak to enjoy this amazing offer. Analyzed the remaining four (4) digit number. Once you succeed in Imei tweaking, you will receive a successful message from MTN within a period of time or instantly, saying; "Congratulations! Your smartphone has been activated to enjoy DOUBLE on any data bundle you buy for the next 6mths.". Then, subscribe to any MTN data of your choice with *131*1# and you will be giving 100% bonus of the data you bought. Check your data bundle balance with *131*4#. Also, you can dial *559*4# to check your bonus on the MTN Network. Enjoy!